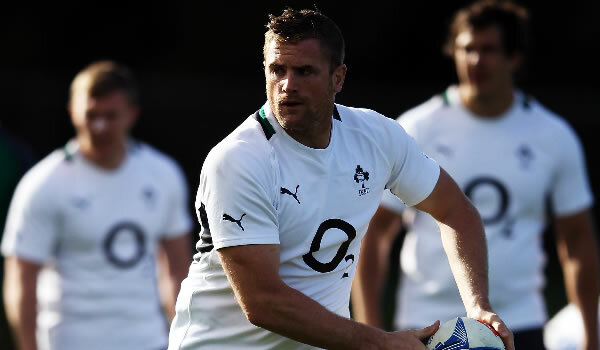 British and Irish Lions back-rower Jamie Heaslip says that he knows exactly what to expect from the Michael Cheika coached Waratahs from his time at Leinster. Heaslip says that he expects “hard nut” coach Cheika will have the Waratahs fired up for Saturday’s showdown with the unbeaten tourists. The Lions number eight credits the Australian with transforming the provincial club into a European Cup-winning team and knows what to expect as his team put their four-game unbeaten run on the line against the below-strength Waratahs. “He always kept you under the pump. He demanded the best from players,” the Irishman told reporters. “He was a hard nut, some would say a madman at times. “He was a fiery character but I had a lot of time for Cheiks. Heaslip said he has no doubts Cheika would have spent this week firing up his Waratahs — missing 11 internationals due to Wallaby camp commitments and injuries — in a bid to steel them for the challenges of taking on the Lions. “Knowing Cheiks, he’s definitely sticking it to the guys who are there and motivating them, that this is their chance because those guys aren’t around,” he said. “He would have made sure every box was ticked. He’s a great coach and these guys are going to be well drilled and they’re going to be a hard team with Cheika calling the shots. But Cheika has ruled out any repeat of a violence-scarred 2001 confrontation when the Waratahs last took on the Lions. The Waratahs’ former fly-half Duncan McRae is infamously remembered for punching Lions counterpart Ronan O’Gara 11 times while the Irishman was on the ground. O’Gara subsequently had eight stitches put in a facial wound, while McRae received a seven-week ban. “I think those days have gone,” Cheika said. “Even back then, it was over the top. “But physicality can occur in lots of ways – rucks, scrums and the contacts have got to be big from our lads. “We have to be big. We can’t hope just to contain them, and we can’t hold anything back. If we have that mentality over 80 minutes, we might put a bit of a dent in their tank.